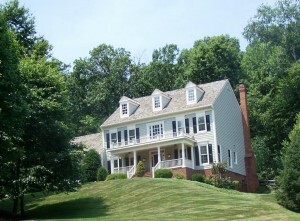 Looking for a Holiday Home in Loudoun? Time for a Holiday House? We’re rolling into the middle of November, so if you are looking to be in new digs before the holidays, now is the time to get under contract. Yes, a good lender can get you into your home in a 30-40 day window of time…but that’s a post for another day! Obviously this is a quieter period of the year for home sales in LoCo, but there are still plenty of homes (with motivated sellers) out there if you are looking. In Sterling, there are 155 homes active on the market, ranging in price from just under $200,000 to $250,000 for 2-3 bedroom condos in various communities, to a $1.3 million builder’s home on almost an acre in Cascades. In between, most are clustered in the $400k to $500k price range, with a variety of single family homes and townhomes of varying ages and conditions. Average days on market for homes under contract in Sterling right now: 38. You can see all available homes for sale by clicking here. 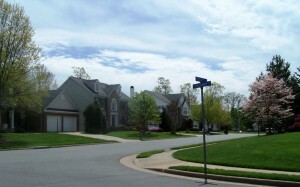 Meanwhile, there are a bit more homes to pick from in Ashburn, with 262 active listings available as of this morning. Like Sterling, the least expensive homes in Ashburn start at just under $200,000, with condos in a few different neighborhoods. 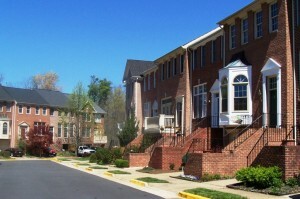 If you would want to buy a townhome, the most inexpensive is priced at $285,000 and is in the heart of Ashburn Village. Most of the homes for sale right now are clustered in the $500k to $700k price range, and the highest priced home available now is a luxury property in Belmont Country Club listed for $1.449 million. Interestingly, if we take out the new construction listings, there are only 143 resale homes on the market in Ashburn. You can peruse all of the active listings by clicking here. Taking a look at Leesburg, you have 327 homes to pick from, with only 58 of those listed as new construction. The most inexpensive properties available are priced right around $100,000 (yes, they are condos) but the majority of resale listings fall in the $350k to $550k bracket. The interesting piece of the Leesburg market is the overwhelming number of $1 million plus homes active on the market: 44 luxury homes waiting for a buyer, with the most expensive coming in just shy of $6 million for a true estate home on 180 acres. All of the homes active on the market in Leesburg now are found here. Just because we’re shopping for turkeys and indulging in wintertime comfort food doesn’t mean the real estate market grinds to a halt until the calendar turns. You can always keep up with the newest homes to come on the market in Loudoun, we keep them organized for you here. If you’re thinking of selling or buying in the upcoming year, we’d love to have the chance to earn your business. Please reach out to Mike, Dawn, or Rebecca by commenting below, by filling out the ‘Contact Us Now’ form just over there —->, or by calling 571-233-5495.